Prime Development Opportunity. 15.7 Acres adjoining the new Panama City Beach Sports Complex and School. Excellent location for Hospitality, Dining or Retail. The New Panama City Beach Sports Complex will bring an additional 75,000 room nights per year and have an economic impact of $45 million per year. All economic impact pro formas are available upon request. 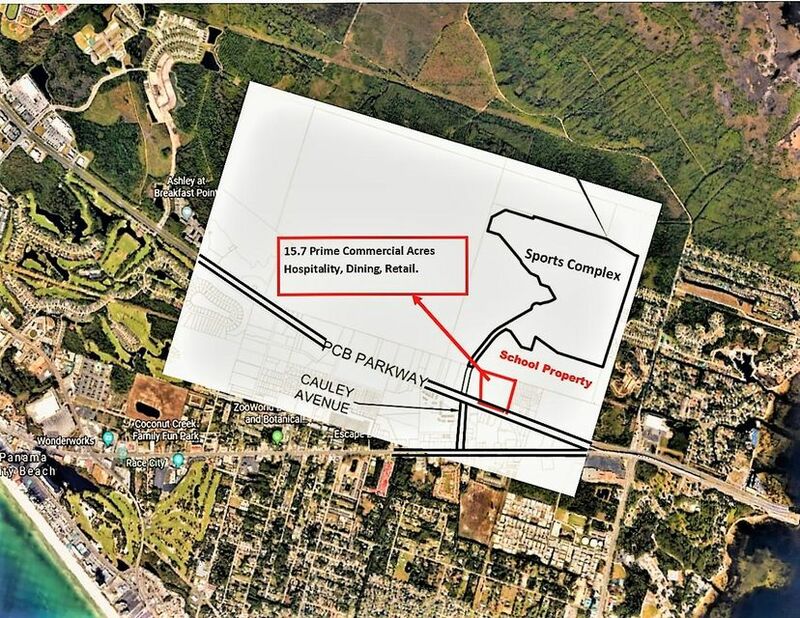 This 15.7 acres is the closest property to the new sports complex located directly on HWY 98 with 750' of Hwy Frontage. Don't miss out on this prime development opportunity in what will be the up and coming area in Panama City Beach.